Australia’s West African Resources (West African), which is listed on the ASX and TSX-V, has lined up Australian engineering company Lycopodium as the EPCM contractor for its Sanbrado gold project in Burkina Faso. West African recently conducted a competitive tender process for the engineering, procurement, and construction management (EPCM) of the Sanbrado process plant and associated infrastructure. Following a detailed evaluation of bids, it has signed a conditional Letter of Intent with Lycopodium for the EPCM contract. The Letter of Intent relates to the engineering and procurement (EP) portions for a new 2 Mt/a carbon-in-leach (CIL) treatment facility and other supporting infrastructure to be constructed at Sanbrado. It is expected that the EPCM contract will be signed by the end of 2018, following agreement of the final terms and conditions and West African Resources board approval. Boxcut establishment at the Sanbrado site. Listed on the ASX, Lycopodium has completed the construction of more than a dozen gold development projects in West Africa since 2009. It has a successful track record in Burkina Faso, recently delivering EPCM projects at the 3 Mt/a Houndé and 4 Mt/a Karma Upgrade gold projects for Endeavour Mining, the 3 Mt/a Natougou gold project for Semafo, and the 4 Mt/a Bissa and 8 Mt/a Bouly gold projects for Nordgold. It is currently building the 2,5 Mt/a Wahgnion gold project for Teranga Gold Corp.
Sanbrado will be a substantial mine. The updated Feasibility Study (FS) released in June this year envisages an initial 11-year mine life, including 4,5 years of underground mining, with an average annual production over the first five years of mine life of 211 000 ounces of gold and a 16-month post-tax payback on US$185 million pre-production capital costs. Project economics are robust with an AISC of US$551/oz over the first five years and US$640/oz over the life of mine. The project site is located approximately 90 km east-southeast of Ouagadougou, the capital of Burkina Faso. In other developments relating to Sanbrado, West African says that during the September quarter it conducted a competitive tender process for the supply and delivery of the SAG and ball mill package. Following the evaluation of tenders, the company selected Outotec to supply the 4 MW semi-autogenous grinding (SAG) mill and 4 MW ball mill, principally due to Outotec’s extensive experience with grinding mills especially in the size range required for Sanbrado. Outotec is a global mineral processing company that has delivered over 200 grinding mills to sites worldwide over the last 20 years. More than 40 of these mills have been supplied to projects in West Africa. Outotec’s recent mill deliveries in the region include Endeavour Mining’s Ity (Côte d’Ivoire) and Houndé (Burkina Faso) gold projects and Toro Gold’s Mako gold project (Senegal). Optimisation of the process plant flowsheet has continued to advance since completion of the updated FS. West African has confirmed that by increasing the size and power of both the SAG and ball mills to the levels being supplied by Outotec, the throughput rate while feeding higher grade fresh (hard) ore can be increased to maintain a minimum feed rate of 250 t/h (2 Mt/a), up from the 200 t/h (1,6 Mt/a) detailed in the June FS. For Sanbrado this mill package will deliver a higher throughput than nameplate on a blend of oxide and fresh material. Optimisation of the mine schedule and plant design will incorporate the larger mill package and is on track to be completed by Q1 2019. A significant improvement in project economics versus the FS is expected by delivering more gold in the early years of the operation from an accelerated mine schedule with a relatively small change in the processing plant capital requirements. During the September quarter, West African hired a group of highly experienced expatriates for key positions in the owner’s construction team for Sanbrado. All new employees have previous gold mine start-up experience in Burkina Faso and are multi-lingual. West African has started constructing the first stage of the 210-room camp at the Sanbrado project site. The initial 60 rooms and common facilities for use during the construction phase are due to be completed by late March 2019. Earthworks have commenced on the boxcut for the underground access, which is being completed by the owner’s team using locally hired equipment. This is forecast to deliver significant cost savings against the June FS, which envisaged outsourcing the boxcut to external engineers and earthmoving contractors. Open-pit and underground mining contractors completed site visits during October. West African is currently reviewing contract bids and will short list candidates before going into a final round of negotiations. 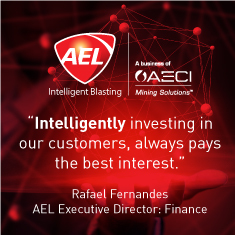 The company expects to award the underground mining contract during Q4 2018 and the open-pit contract during Q1 2019.